When WeighMyRack was offered a pair of Red Chili shoes to test I promptly elbowed Alison out of the way and claimed them for myself. I chose the Corona VCR after a tough debate between it and the Spirit Speed. According to a Red Chili rep, the Corona is slightly more performance oriented which is plus in my book. Ultimately the unique combination of the high asymmetry, softer midsole, and fairly flat last of the Corona piqued my curiosity and I wanted to see how these babies actually performed. I typically wear a 10.5 street shoe. In climbing shoes I’ve worn a 9.5 Scarpa Techno and Vapor V, a 10.5 Five Ten Stonelands, 9.5 Moccasyms, a 10 in the Mad Rock M5, and a 41.5/42 (9) in La Sportiva Solutions. The Corona VCR was super comfy straight out of the box. Even Sophie (dog) was curious how they fit. I found the 9.5 to be a tight performance fit straight out of the box while still quite comfortable. Within days the shoes broke in to the point I could wear them comfortably for multiple pitches at a time. Although they aren’t sloppy, they’re so comfortable I could imagine going down a 1/2 size to increase performance (I’d have to try it before making an official recommendation). For fitting shoes I have a frustrating combination of a low volume foot with a wide forefoot. I was a little nervous the Corona was going to be too narrow for my foot as the Red Chili fit chart indicates it’s ideally suited for narrow feet. Those concerns were pleasantly put to rest the instant I slipped them on. For me, the combination of last shape, softer midsole and the materials used work exceptionally well for my foot. The last shape keeps the foot in natural position and minimizes hot spots in the toe-box while the soft mid-sole allows the shoe to conform to the foot. The asymmetry allows the shoe to securely hug the forefoot without aggressively cramming the toes into the front of the shoe. Generally there’s an assumption with climbing shoes that as performance increases, the shoe must become less comfortable to deliver that performance. With that in mind, the Corona absolutely delivers on its promise of “surprising performance.” I have yet to wear a pair of shoes that could match its ability to both edge and smear, and do so without pain. And after a slight break-in period, the Corona becomes wickedly sensitive thanks to the minimal midsole. Even though I continue to be impressed with the performance delivered by such a super comfortable shoe, the Corona is not my go-to shoe for technical edging on tiny features. The flat last and soft midsole just can’t deliver the power needed for standing on dime edges, and the edging performance does diminish after prolonged use. I also would not recommend the Corona’s for dramatically overhanging routes/problems that require aggressive pulling with your feet. Although the shoe is impressively sensitive, the flat toe box does not enable reaching and pulling like a downturned toe provides. The minimal midsole makes for a sensitive shoe but doesn’t enable powerful edging. As for the performance of the RX2 rubber I found it delightfully sticky. Alas, the stickiness seems to be diminishing and even becoming a little glassy after extended use. This has made me question my footwork when smearing with the shoes just prior to needing a resole. I’m very curious to see if resoling with 4mm XS Edge or Stealth Onyxx rubber will boost the edging performance of the Corona while maintaining sensitivity. Break-in: After wearing them for multiple pitches in a row straight out of the box, the slingshot rand caused some serious pain in my achilles. After a few more sessions, whatever caused the pain quickly vanished and I can now wear them most of the day if needed without removing them. I found the heel to be comfortable and the full rubber coverage worked well when hooking. Often my feet have issues with rands that run high around the heel digging into my ankles, like on the Cypher CoDex. The Corona’s heel rand is noticeably lower, and the heel pocket is a little shallow. Although it is one of only a few shoes that don’t dig into my ankles, the heel leaves me feeling like I might pop out when really cranking. That said, I’ve never actually had my foot slip in the Corona but I have also avoided aggressive heel hooking in it. The comfort of the toe box disguises the secure fit it provides. For my low volume foot the straps are too long when really cranked down. I love the low volume, asymmetric, flat toe box of the Corona. It’s ultra comfy while simultaneously locking your foot in place. The rubber toe patch is effective at reducing stretch in the toe box while enabling proficient toe-hooking. It’s not a huge patch of rubber so it’s not sufficient for problems that demand lots of technical toe-hooking or scumming. The toe is also quite low profile enabling you get into thin cracks or micro pockets where more aggressive shoes simply won’t fit. 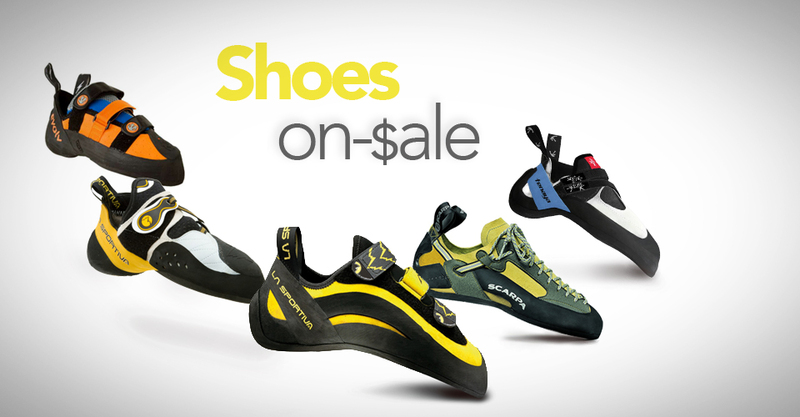 As with most modern climbing shoes, the Corona VCR is a slip-lasted shoe. The fit and finish of the Corona is on par with most performance climbing shoes of similar price. The stitching isn’t as top-notch as you can find on some the most expensive Italian brands but that hasn’t affected durability or comfort in my experience. And, the construction is higher quality than other similarly-featured but cheaper models. After 6 months of steady use, the white upper material is discolored (as anticipated), but the interior still looks very fresh. The leather footbed is quite soft to the touch and it keeps the foot from sliding around inside the shoe during technical moves. The synthetic upper limits stretch compared to leather but mine still stretched about a 1/4 size. The design of the forefoot securely locks the toes in-place while the 2 velcro straps cinch up the mid-foot. With my low volume feet I really have to crank on the straps to get a secure fit, at which point the straps are stick out far past the shoe. With the ends of the straps loose, they can be pulled open when jamming deep in cracks. Note: This does also mean that the Corona would accept much larger volume feet. A solid shoe of nice built quality. Although the white upper gets dirty quickly, it does not affect performance or durability in any way. The split tongue and 2 velcro straps make the shoe ridiculously easy to get on and off. This, combined with the general comfort make it a great multi-pitch shoe in my experience. The other great benefit of the split tongue is the ability to completely open up the shoe, allowing them to dry completely after climbing. Keeping it dry has made this shoe the least heinous-smelling shoe I have ever owned. Straight out of the box I was amazed at the comfort of the Corona VCR. It’s not the highest performing shoe I’ve ever worn, nor is it touted as such, but if you’re looking for a comfortable shoe that will get the job done in a wide range of situations, the Corona is most definitely worth a look. After months of testing on everything from wet granite to polished limestone to overhanging sandstone, I understand why the Corona VCR is Red Chili’s top selling shoe. The combination of versatility, comfort and performance are impressive, particularly at the $140 price. I’d love to hear your opinions of the Corona if you have worn them. I’m particularly interested to hear of any comparisons you have to other shoes you’ve worn… let us know in the comments. 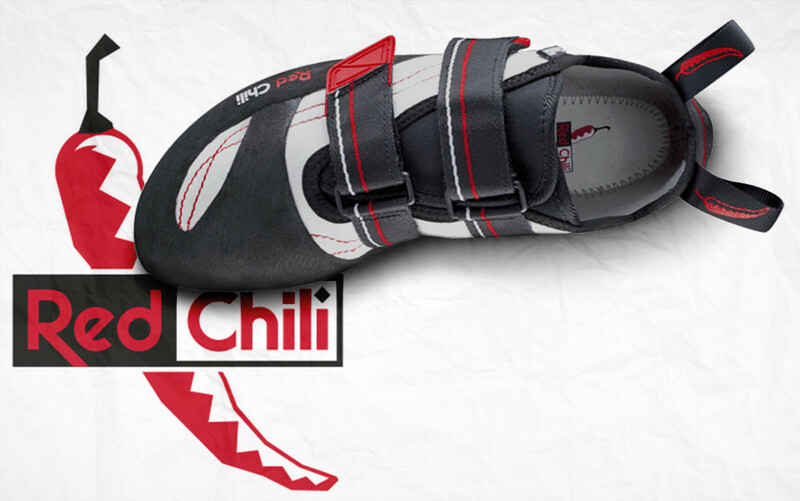 Hey, maybe weird to comment on such an “old” article but I’d like to share my 2 cents with Red Chili climbing shoes. I don’t own the Corona, but I do have the Spirit VCR which is very similar and has the same rubber. Fit for me is incredible since I have mortons toe, wide feet with low volume. Yeah, not the easiest to find shoes. The Spirits however fit me perfectly and I can downsize a lot before I just cannot physically squeeze my feet in them. Now my street shoes range anywhere from EU 44 to EU 45. I have a pair of Miura VS which are 44.5 and not very comfortable. I wear a size 42.5 with the red Chili and they feel great! The rubber and quality however are the two downsides for me. The rubber is very slippery compared to the XS Edge on my Miura. Not very noticeable when edging, but when smearing you can definitely feel the Red Chili rubber sliding away whilst the Vibram rubber stays planted. Also, the wear on the rubber is crazy. Had to resole my Miura’s after 4 months without any holes in them, I’ve owned these shoes for 1.5 months and most of the rubber is already gone! The rubber itself is also starting to separate at the heel on one shoe and on the inside toe area on both shoes. Brought it to the store and they said it’s not worth sending them to Red Chili for. Very disappointed with that however, once resoled with XS Edge or Stealth C4 I’m sure these shoes will be perfect. Thanks for taking the time to jot down these notes Dennis! Would you mind adding this review to the WeighMyRack Spirit VCR page? Or mind if we copy it there? I think it would be super helpful for other climbers, this is a really well written review. Hey Allison, sorry for my late reply but yes, that would be fine. I just came here to update on the resole. Just got them back with fresh C4 Stealth rubber and it’s crazy how much of a difference it makes on smears. I find myself worrying less about “oh no, is my foot going to slip here and make me faceplant into that volume” to a more of a relaxed style of climbing where I can actually approach the next hold stress free. Having said that, the rubber did wear out in 3 months, which is absolutely terrible. The heel did separate quite a bit more and even after glueing by my shoemaker (he does shoes for the German national team) it’s still not really well in place. When I confronted the store about it they just said “yeah we know that the rubber wears quickly, but there isn’t much we can do about it”. So apparently it’s a well known issue. It seems that they’ve addressed this in the newer version of the “Fusion VCR” by using Vibram XS Grip rubber (though, XS Grip or XS Grip2? There’s a big difference between those). Not sure how that’s going to affect edging either. Having said that, with Stealth C4 this is now my go to shoe, even when it comes to hard bouldering (except roofs). I just wish the shoe came like this in the first place instead of having to modify it.